Nowadays the technological world is developing with the overwhelming speed and the new devices appear extremely fast. 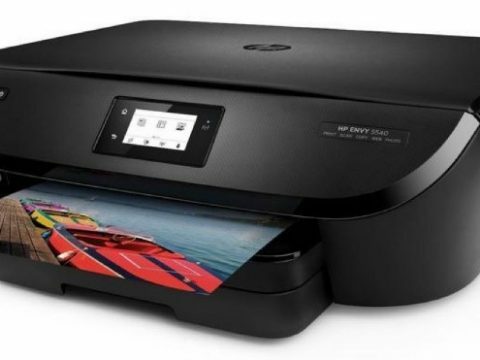 But, nevertheless, even with such wide choice of the new devices you don’t have to throw away your favorite stereo system or other devices that are comparably old. With the Bluetooth transmitters reviewed in our article, you will be able to breathe a new life in your old favorite devices and enjoy their work much longer. 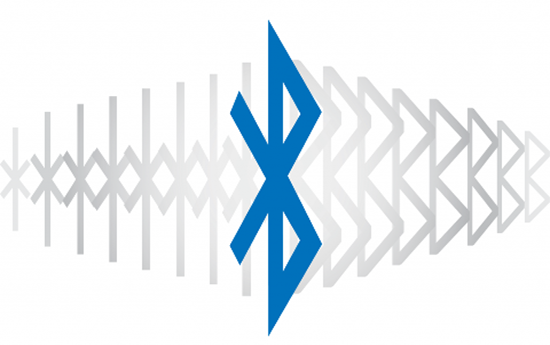 Bluetooth transmitters (actually, not only transmitters but receivers also) are able to turn the outdated RCA and 3.5 mm connections into modern wireless hubs. These transmitters are great for using with the MP3 players or stereo systems that are not equipped with the Bluetooth. 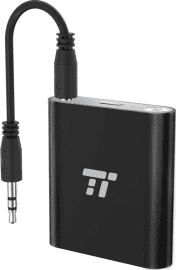 Let’s start our review and consider TOP 10 Bluetooth transmitters available today! The first transmitter in our list refers to a type of low-latency dual-link transmitters. 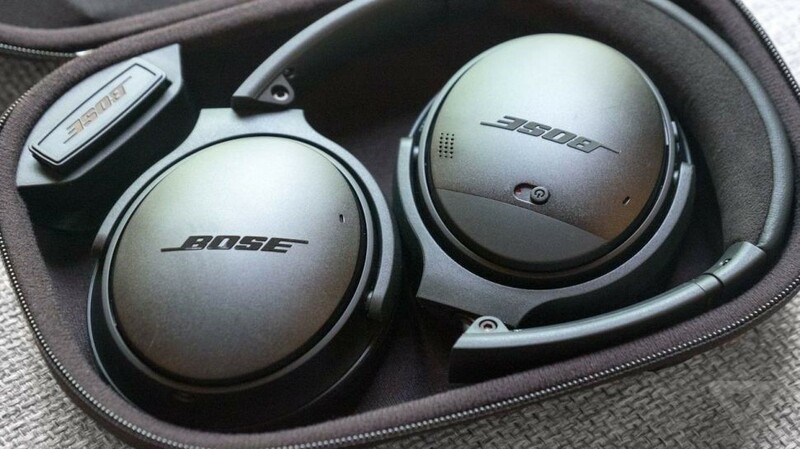 It means that this device is able to stream your favorite music simultaneously to two different pairs of headphones, allowing you to listen to music together with your friend. This option can boast of an excellent work without any delays which makes it the perfect choice for watching TV shows and movies. This option has a first-class aptX LL latency reduction technology and is equipped with the top-notch CSR8670 chipset. The transmitter comes with the monthly money-back warranty and eighteen-month warranty from the manufacturer. The third option in our list has three different types of connection: TOSLINK optical connectivity, RCA, and 3.5 connection. Due to this, you will be provided with the low-latency quality in your audio and a high level of reliability. Also, this option has a durable and versatile housing. The main feature this option can proudly boast of is the range of its signal. Unlike other options, this transmitter is long-range and the Bluetooth signal can be sent 150 feet outdoors and more than seventy-five feet indoors. In addition to this, you can even pair this transmitter with the receiver and get the even more long-range signal. 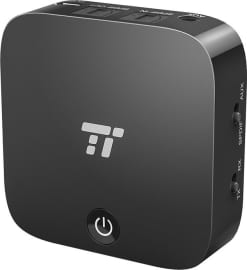 The next option of our TOP 10 Bluetooth transmitters is small and durable at the same time. This transmitter is very simple to set up, so even if you don’t have any experience with such devices, you will not have problems with it. This option is equipped with the 3.5mm jack and RCA connections. The range of its signal is equal to 65-70 foot, which is enough for convenient using. 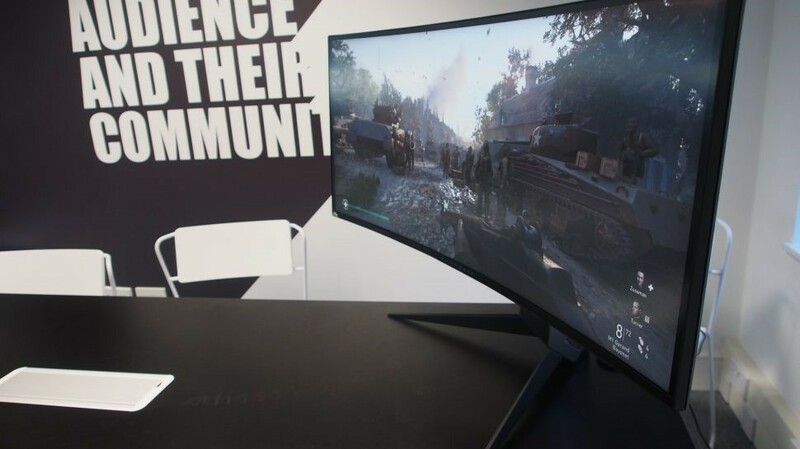 This device is the smallest option on our list. It is the combination of transmitter and receiver and can boast of the affordable price tag and stylish black housing. 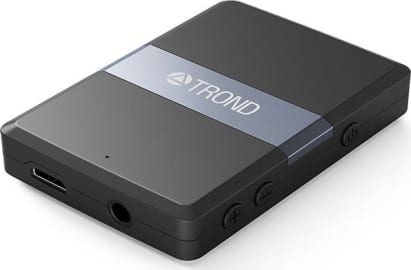 This model will provide you with the high-quality transfer of audio and a reliable connection. This transmitter is a good choice for watching TV shows and movies, as it doesn’t cause any delay, which is so noticeable when you are watching a movie. Small portable size and versatile housing make this option a good choice for frequent use. This model is both receiver and transmitter, so you are able to choose which of them you need at the moment and switch between them. This feature makes it a versatile option and saves your money, as you don’t have to purchase two devices separately. This is a great choice if you need both receiver and transmitter for frequent use. This is a versatile option. 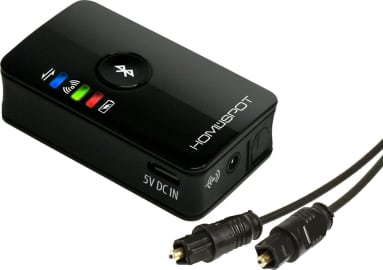 Due to its quick and simple connection to your TV, MP3 player or laptop, you can use this transmitter for listening to music or watching the TV through your Bluetooth enabled headphones. The last option on our list can provide you with the good quality of sound but has a lag of the signal. Because of its lag, this option will be a good choice for listening to music but not the best option for watching TV shows or movies. 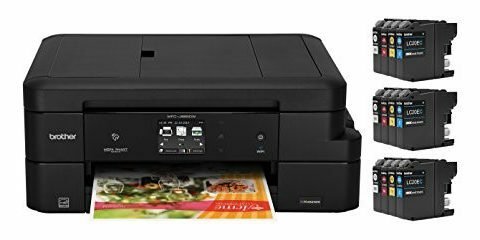 Among other pros of this option is the small portable size and affordable price. We live in a wireless world and try to get rid of the annoying cords and wires which are absolutely everywhere. The majority of modern devices are equipped with the wireless technologies that allow to pair them with other devices in some seconds. The most popular form of transmission for modern computers and smartphones is the Bluetooth transmission. The Bluetooth transmitters are comparably new devices that allow bringing a new life to your old devices. The main task of these devices is to convert your old devices which are nor equipped with the Bluetooth into the modern wireless devices. 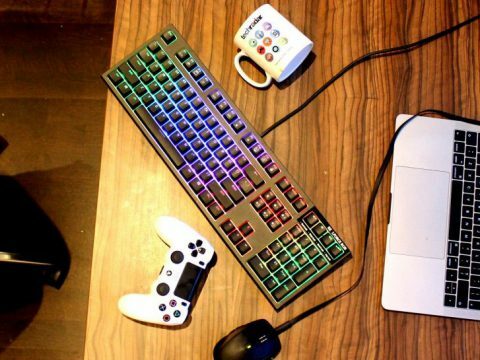 For example, you can use these transmitters for your computer and use it in pair with the computer mouse or keyboard that are equipped with Bluetooth. 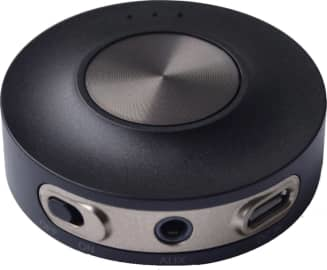 Bluetooth transmitters are small and very portable, you can easily plug them to any device you need to turn into wireless, it can be a stereo system, desktop computer or anything else. The main disadvantage of these devices is that they have the comparably short range of the signal. For example, if you put this device inside your room and go outdoors, you will not be able to connect to it. The same situation will be even if you will be on a different floor inside your house. 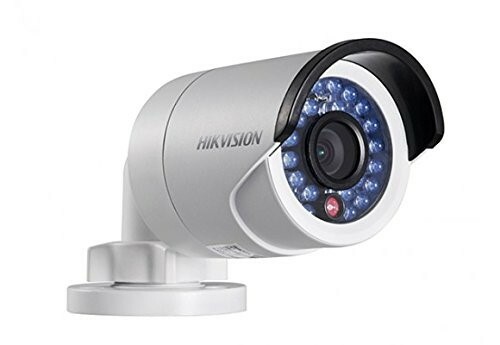 Because of this, to maximally enjoy the good work of these devices it is recommended to set everything in one place where you are going to use it. You can use the Bluetooth transmitter with your computer speakers (that are not wireless) and enjoy listening to your favorite songs. 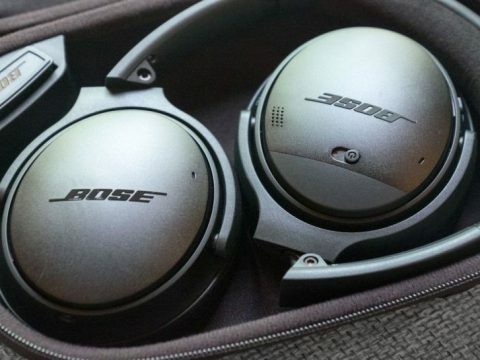 Also, with these devices, you can listen to music from the desktop computer on your Bluetooth headphones. Bluetooth connection. More pros or cons? With the Bluetooth connection, you are able to transfer files between different devices. For example, you don’t have to use the USB drive or that annoying long cords to transfer photos from your smartphone to the laptop. Also, you are able to set a connection between several different computers for files exchange. In case, if you, for example, have a laptop with the Bluetooth connection and a desktop computer without it, the Bluetooth transmitter comes into play. 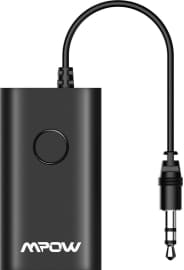 By using this transmitter with your computer you will be able to different files between these two devices without any cords. With the Bluetooth transmitters, you can use tethering in order to connect your devices. 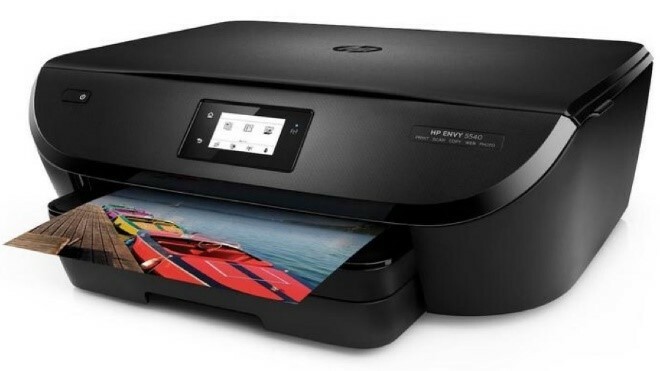 You can also do this by using a Wi-Fi or a hotspot but with the Bluetooth, it can be faster and easier. Also, this saves the consumption of your smartphone’s battery. The third advantage of Bluetooth connection is probably the best for many users. You can add various accessories to your devices by using this type of connection. 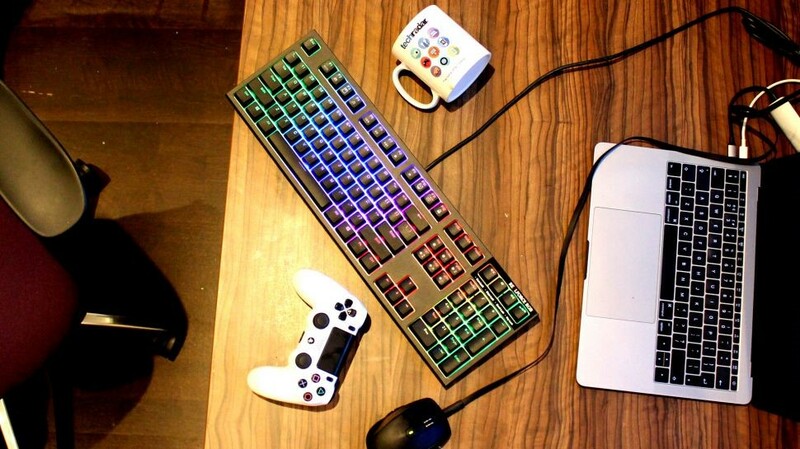 For example, you are able to use pair keyboards, computer mice, headphones, printers, MPS players, speakers and other devices by using a Bluetooth. 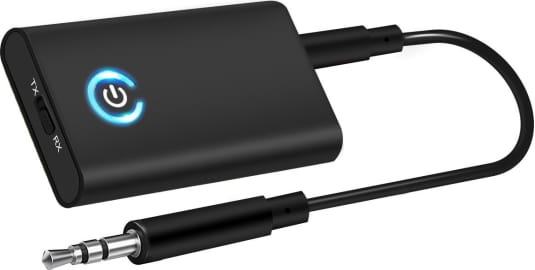 In a case, if some of your devices don’t have this type of connection, just plug a Bluetooth transmitter to them and use them as the Bluetooth enabled devices. Simple, fast, and convenient. 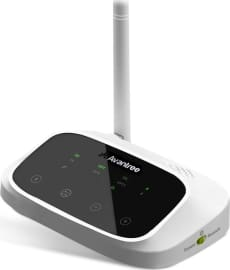 To sum up everything mentioned here about Bluetooth connection and Bluetooth transmitters, we want to claim that if you once tried all the convenience of it, you will never use wires, cords, and plugs again. The technology called “Bluetooth” appeared in a far 1989 and was created by a group of the three scientists working for Ericsson Mobile. Many people wonder why the name “Bluetooth” was given to this technology. This word is a derivative from the king of the tenth century – Harald “Blatand” Gormsson who was famous for uniting the Danish tribes and had a nickname “Bluetooth”. Actually, this word means “union” as this technology, as we all know, allows us to connect and “unite” different devices without using any cords. There are a lot of versions of why did the king have so strange nickname. Some people say that it was because of his bad tooth which had a blue color, while another claim that it was so because the king was always dressed in blue. Anyway, we will never know the truth and have to put up with it. In eight years after the invention of a Bluetooth technology, Intel company signed a contract with the scientists and inventors to market this new technology and launched it to the public one year later, in 1998. For all people, it was something absolutely new and it took them a while to understand the major differences between the Wi-Fi and this technology. 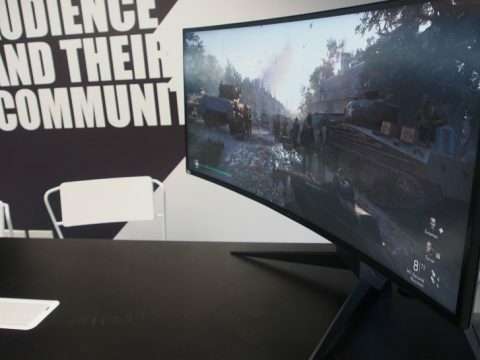 Nevertheless, when people learned these differences, the technology got a high demand and nowadays is installed in each new device produced in a modern market.